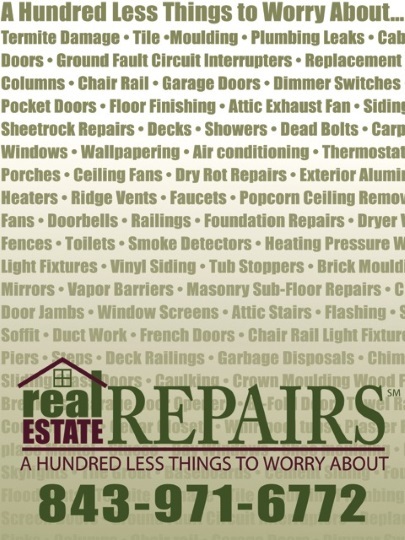 Real Estate Repairs is the local repair authority real estate agents and homeowners have turned to for over eighteen years. We offer a professional, worry free, and common sense approach to home repairs. Quality – We will fulfill our client’s visions while working in a positive and safe environment utilizing stringent quality control practices. Our pledge is to deliver high quality professional services on time with a long term value. Commitment – We will develop relationships with clients, suppliers, and employees that will last a lifetime. Each of these individuals is instrumental to our success and growth. We are committed to employing and rewarding those who are committed to teamwork, craftsmanship, ethics and client satisfaction. Reputation – We will continue the established company culture of exceeding client expectations and gaining trust through respect, timeliness, quality craftsmanship, and excellent performance by each and every Real Estate Repairs team member. We believe in treating others as we would want them to treat us. You can trust that our professional, creative, and common sense approach to home improvements will give you 100 less things to worry about.